There are so many fun & unique ways to decorate pumpkins these days. I've collected some of my favorite DIY pumpkin decorating ideas to share with you! love all the painted ones....i need to do some decorating! Love these! That glittery one is so pretty! Cuuuuute! These look easier than carving one! So cute! I love all of these. Definitely inspired to paint a pumpkin now! How cute!! I love them! you have me inspired to decorate now! i love the studs, glitter and chalkboard pumpkins :) i have chalkboard paint and glitter at home so now all i need are some pumpkins! Oh my gosh I thought that studded one was pearls, which I am now totally making :) These are all so fun!! The chalkboard one is especially creative. 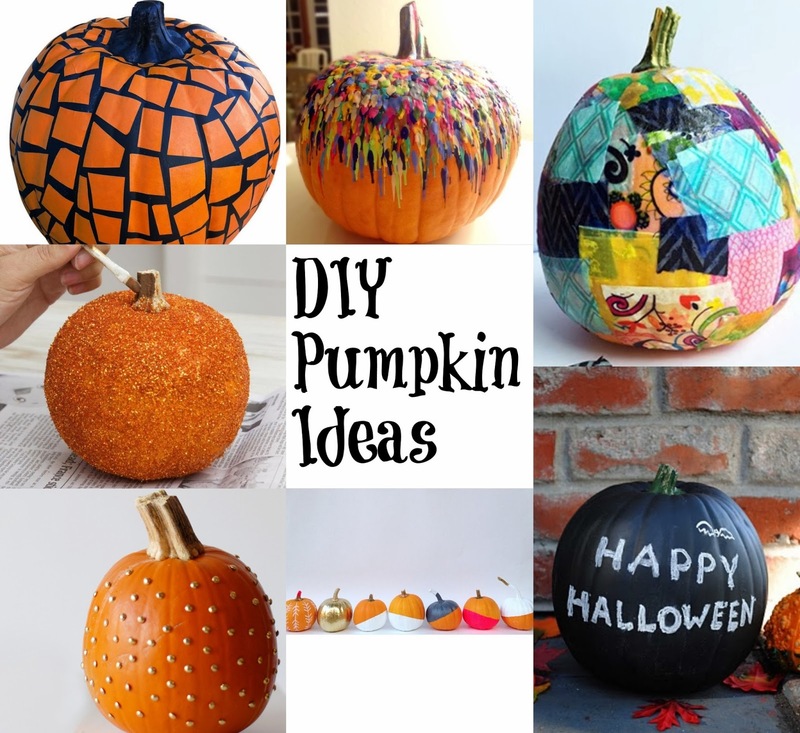 that studded pumpkin is such a good idea! So cute! Love the studs best I think! you're the cutest ever, thanks for including me!! see you next weekend at the pop up!! You so right, love the first one and the last one.